Cristian Avenanti, chef at the restaurant “Avenanti” of the Grand Hotel Entourage, Gorizia, teaches us how to cook lobster among the recipes of fish appetizers. 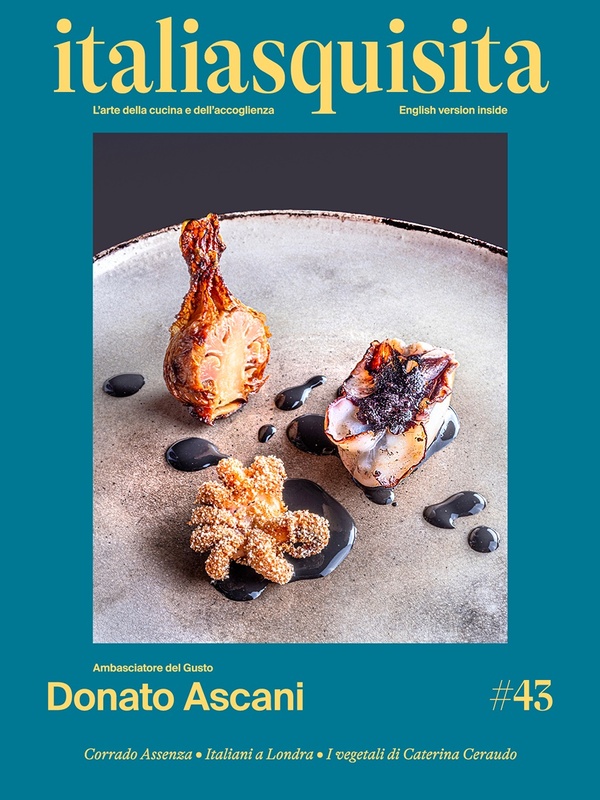 Cristian Avenanti, young and talented chef of the Restaurant "Avenanti" of the Grand Hotel Entourage , Gorizia (www.entouragegorizia.com), has designed a very attractive dish, where the combination of sea-land shines beautifully. Among the fish appetizers recipes, Cristian Avenanti offers a salad of lobster with truffle apple, home-smoked melon and black truffle. Strong but elegant flavors, aromas of smoke wood, of the forest for the black truffle and sea thanks to the delicate lobster. How to Cook the lobster will no longer be a problem. Fish appetizers recipes? Lobster and black truffle by Cristian Avenanti. Ingredients for 2 people Black Truffle Chips of virgin beech 1 European lobster 500g 1 Granny Smith apple 80 g sugar 60 g butter 5 cl of white truffle oil 1 slice of melon Preparation For the lobster Cook the live lobster in boiling water for 7-8 minutes, then cool in cold water. Depriving the lobster of the carapace and intestines; cut into rounds the tail with a thickness of 1.5 cm. Store in refrigerator. For the apples with truffles Wash and peel the apple, cored and cut into large regular pieces. Put the pieces of apple in a bowl with a pinch of ascorbic acid to not oxidize. Prepare the caramel in a saucepan with the butter and sugar when it starts to brown add the apples, salt and then add a ladle of water flavored with truffle oil. Cook for a few minutes, remove the apples from the sauce and put in a bowl in the refrigerator and allow reducing the sauce. For the smoked melon Cut the melon into regular pieces. Warm beech wood chips in a saucepan until it is smoking, but without taking fire, then place them inside to be smoked. Place the melon and leave it on the shelves to be smoked for about 15 minutes. Presentation of the plate Arrange on a plate warmed apples, the cold smoked melon and medallions of lobster, tassel with the hot sauce of apples and truffle flakes.